June 6 – D-Day 70th Anniversary, But what else was happening? The 70th anniversary of D-Day is approaching and many of us will commemorate that history-making event, but the invasion of Europe was not the only thing happening in the days leading up to and right after June 6, 1944. A world-wide war did not come to a stand-still for one event regardless of its momentous implications. So I decided to research and find out what else was going on. 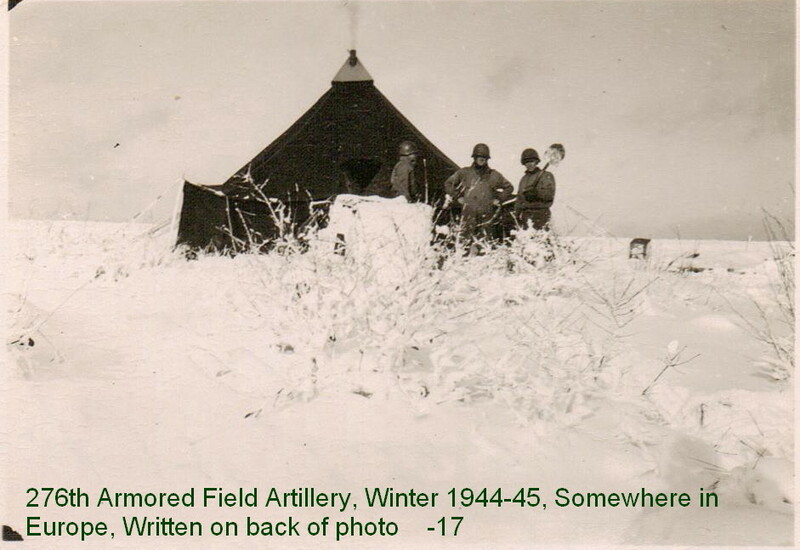 Where was my father-in-law and the others in the 276th Armored Field Artillery Battalion? 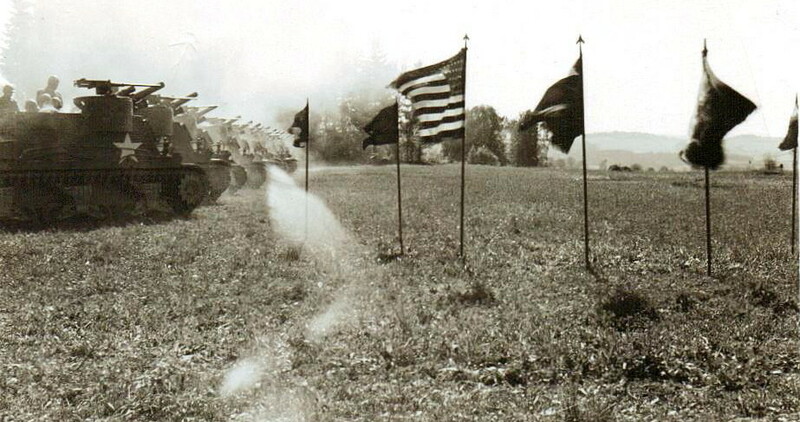 They were at Camp Campbell, Kentucky, training on their M-7 track-mounted 105 mm guns and on small arms. After May 1 all furloughs had been discontinued in anticipation of orders to ship out. Fortunately for me, those orders were delayed and local passes continued. Had they not been my father-in-law and mother-in-law would never have met. 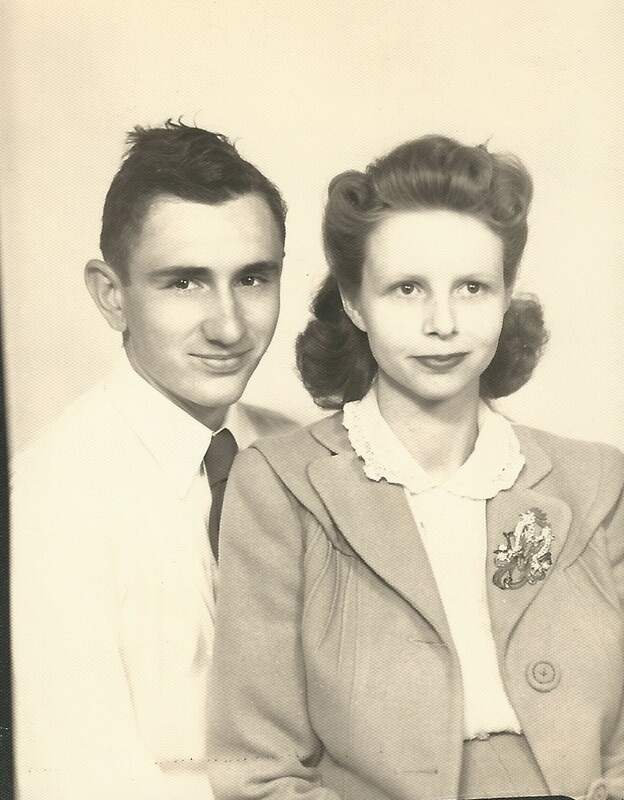 They were married on June 20, 1944, after knowing each other only twelve days. Orders to leave Camp Campbell for a secret destination finally came on June 23. 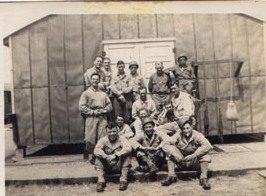 The battalion traveled by train to Camp Shanks, N. Y., for shipment overseas. They sailed for England on July 1, 1944. Despite the build up of troops in England prior to D-Day, many remained in the U.S. awaiting overseas orders. Once the invading forces established a beachhead, additional soldiers and equipment would be needed to retake Europe. In June 1944, the 97th Infantry Division was training at Ft. Leonard Wood, Mo. 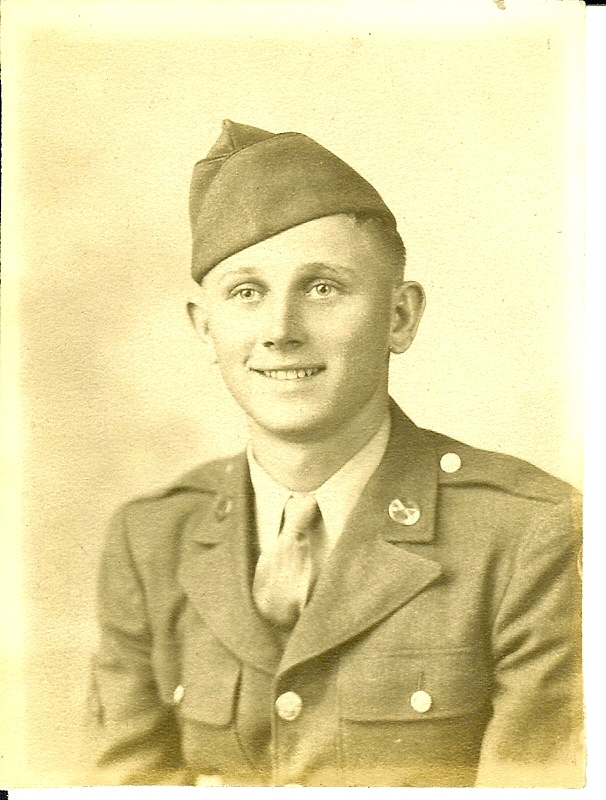 As a soldier in the 97th, my uncle Roland Roby would not sail for Europe until February, 1945. He later went to Japan as part of the occupation forces. Meanwhile, my uncle, D. T. (Boots) Knight, was on the other side of the world fighting the Japanese. The 947th Field Artillery Battalion in support of the 41st Infantry Division landed on Biak Island, just north of western New Guinea, on May 27, 1944. Approximately 11,000 Japanese troops defended the island and its airfields. Prior to the landing, intelligence indicated only 4,400 Japanese were on the island so the campaign proved more difficult than anticipated. The island was not fully taken until August. The 947th received a commendation for their firing on Biak. 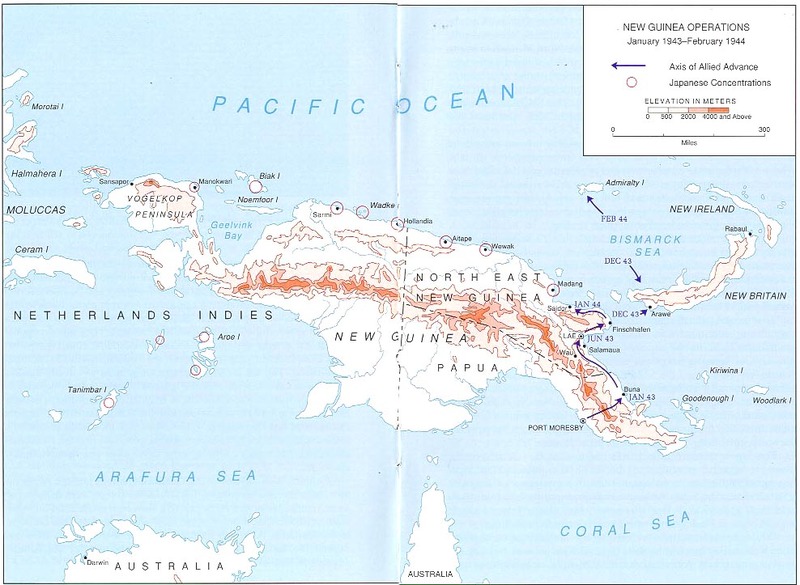 Prior to the Biak campaign the 947th had been part of the Hollandia campaign on New Guinea in April and May. They would help to retake the Philippines beginning in October. Today many think of the war against the Japanese as a naval war. Naval battles did take place throughout the Pacific. Ships of the U.S. Navy also delivered the men and equipment to the far-flung islands. Once on land the U.S. Army did as much of the fighting as the Marines. The war against the Japanese was divided into two separate commands. The Pacific Ocean Area Command under Admiral Chester Nimitz included most of the Pacific Ocean and its islands. In the Southwest Pacific Theater General Douglas McArthur commanded an area that included the Philippines, Dutch East Indies, Australia, New Guinea, Borneo and the western portion of the Solomon Islands. In looking at the map I am amazed at how close the Japanese came to invading Australia. In June, 1944, the Japanese still controlled vast reaches of the Pacific as well as territory on the Asian mainland. The U. S. had pushed them off Guadalcanal in 1942-43 and in joint operations with the British fought for control of New Guinea throughout 1944 allowing McArthur to return to the Philippines in October 1944. While the Allies were battling to hold the beachhead in Normandy, the U. S. Navy took on the Japanese in the battle of Saipan on June 15, 1944. Then from June 19-21 the Battle of the Philippine Sea raged. In Italy, the liberation of Rome came on June 5, 1944, after a long, drawn out fight up the boot of Italy. Despite the surrender by the Italians in 1943, the Germans would not relinquish their hold on Italy. After the initial Allied landings on the Italian peninsula at Salerno in September 9, 1943 the Allies fought their way north. With a second landing further north at Anzio in January 22, 1944, the Allies hoped to cut off the Germans. Instead they dug in to the mountainous terrain. The battle around Monte Cassino raged from January until mid-May. When it finally fell the road to Rome opened to the allied advance with its liberation on June 5, 1944. But capturing the Italian capital did not mean the Germans would surrender. The fight in Italy raged on as the Germans pulled back into the mountains. They fought ferociously and did not surrender to the Allies until April, 1945. On June 9 Stalin launched an attack on Finland. On June 10 in Oradour-sur-Glane the Germans locked 642 French men, women and children in a church and burned it to the ground in retaliation for resistance activities in the area. On the same day in Distomo, Greece, members of the Waffen-SS killed 214 civilians for the same reason. On June 20 in India the three-month siege of Imphal is lifted forcing the Japanese to retreat into Burma. The heavy losses of this defeat marked the turning point of the Burma campaign. As you can see, in June 1944 war raged around the world. It would take another year of hard fighting before the Germans and the Japanese were defeated and peace returned to our planet. 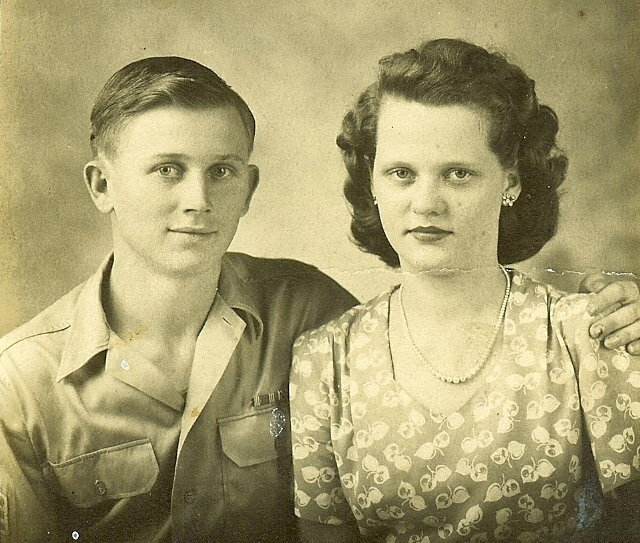 The story of the 276th Armored Field Artillery Battalion would not be complete without telling the story of two Tennessee boys and a wartime love story. My father-in-law, Paul, had asthma as a small child so he was still in high school when he was drafted into the Army at age 19. His parents tried to get their only child out of the Army but their efforts only caused problems during his early months in the service. While training in Kansas, Paul made friends with another Tennessee boy, Luther, who grew up in a small town a few miles south of Camp Campbell, Ky. 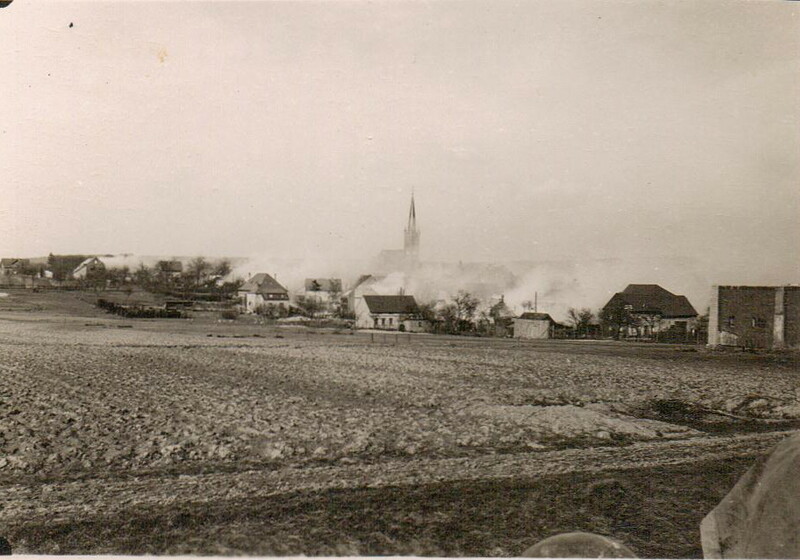 When the 276th received orders for retraining on the M-7 to become a mobile artillery unit, Luther must have been delighted to be stationed so close to home. 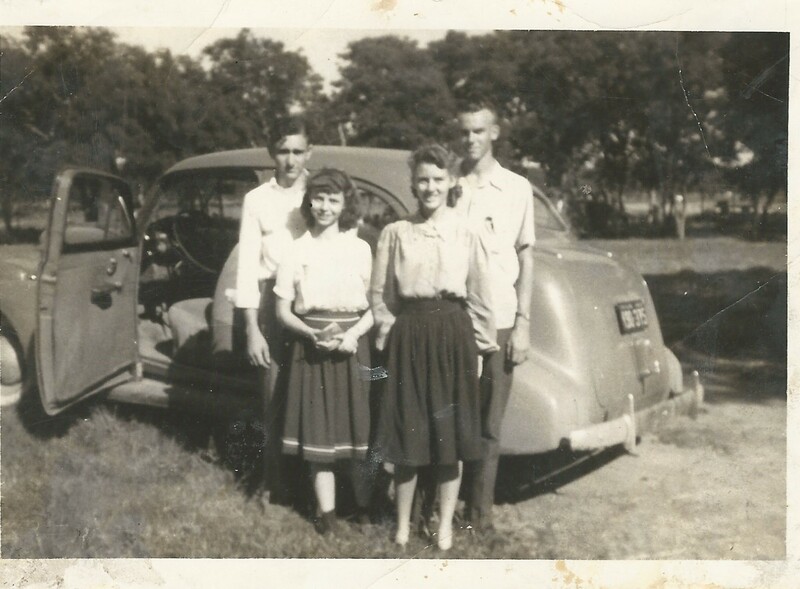 With a car at his disposal Luther would take his friend to his home town on weekends where they spent time with the local girls. They probably met other girls in Clarksville, the town closest to their camp. Months passed and both boys knew they would soon receive orders for overseas. One weekend when Luther had a date with a girl who lived near Clarksville, he asked her to find a date for his friend, Paul. While in school, Earlene went with a boy who lived near her family’s farm. He joined the Army after the war broke out and became a gunner on a B-17 bomber. His plane went down during training and he was killed sometime in 1943. Earlene’s father rented out their farm and went to Detroit to work in the defense industry. 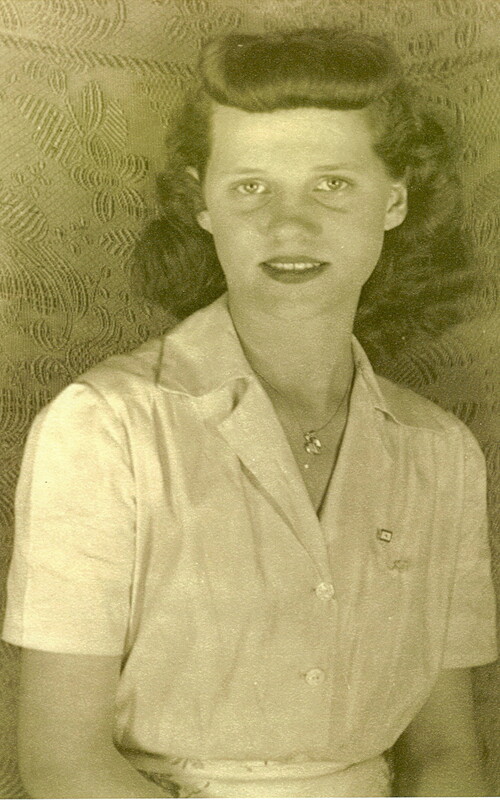 While waiting for him to send for them, Earlene, her mother and sister lived with her grandmother near Clarksville. 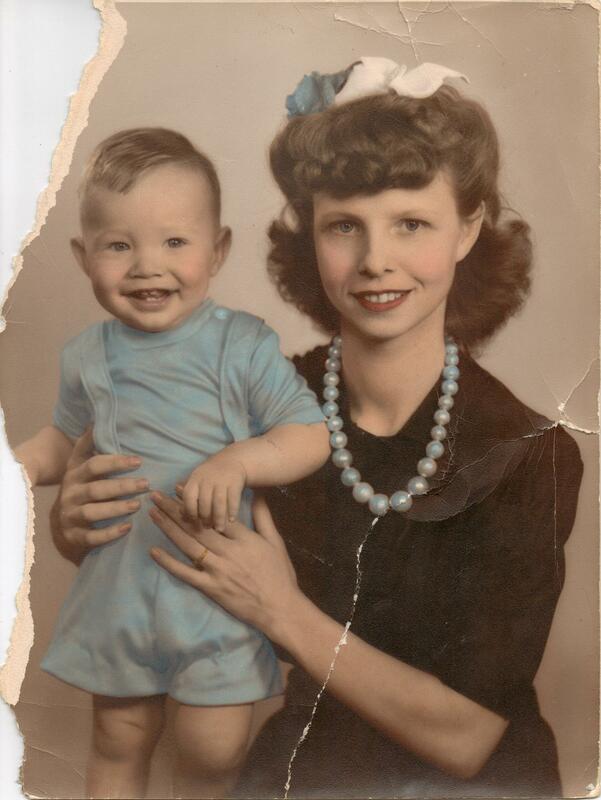 Earlene’s grandmother had remarried years before and her youngest daughter was only a little older than Earlene. 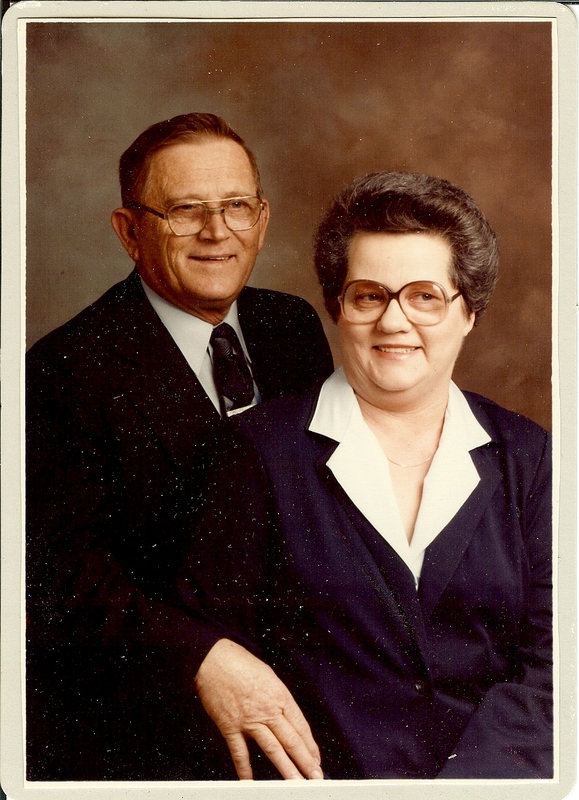 This “aunt” agreed to find a date for Luther’s friend, and that’s how Earlene and Paul met. It must have been love at first sight because Paul came back to see Earlene several times in the next two weeks. Confined to camp awaiting orders to ship out, Paul and Luther sneaked out of camp so Paul could go see his girl. That night Paul asked Earlene to marry him. She hesitated at first. She knew what could happen. But he told her that he knew she wouldn’t be there when he came back. Somehow he convinced her. Luther drove them to Hopkinsville, Ky., where they were married. 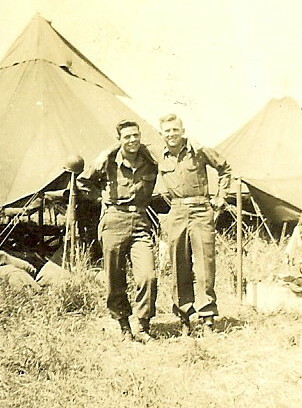 It was June 20th, 1944, and they had known each other for twelve days. The couple agreed to keep their marriage a secret from their parents, at least for a while. The 276th shipped out three days later, on June 23rd, for the war in Europe. Months later, but before going to Detroit, Earlene told her mother about her marriage. Upset, her mother wrote to her father. Both parents were not happy about the marriage, but they accepted it. Paul wrote to his parents and his unexpected marriage must have shocked them. Earlene tells of meeting her in-laws for the first time. She took a bus to West Tennessee where Paul’s parents lived. The bus driver misplaced her suitcase so when she arrived in Selmer, Tennessee, she had nothing but the clothes she wore. This made an already anxious situation worse. Paul’s parents recognized her in the bus station. They drove the only vehicle they owned, a logging truck. The three of them rode in the cab for the long drive to their house. Earlene said it was so far back in the sticks that she began to wonder what she had gotten herself into. Paul’s grandmother waited at the house. When the old woman met Earlene she exclaimed “I knew Paul wouldn’t marry trash.” From that Earlene knew what her in-law’s had expected. The young couple stayed in touch through letters. Earlene sent Paul a picture that she had made especially for him. Both Paul and Luther survived the war in Europe. Before leaving Germany they were told they would be shipped to the United States, then would be reassigned for shipment to the Pacific Theater. When the men reached the states, in July 1945, they received a 30 day furlough to visit their families. Paul found his bride on her father’s farm and met her family for the first time. Paul did not intend to go back to combat. He’d been through too much, seen too much. He vowed he would get lost in the swamp where no one could find him. Unfortunately his father was ill so Paul had to help his mother. He couldn’t hide. Instead, he gained permission to extend his leave. Before he had to report back, the Japanese surrendered. 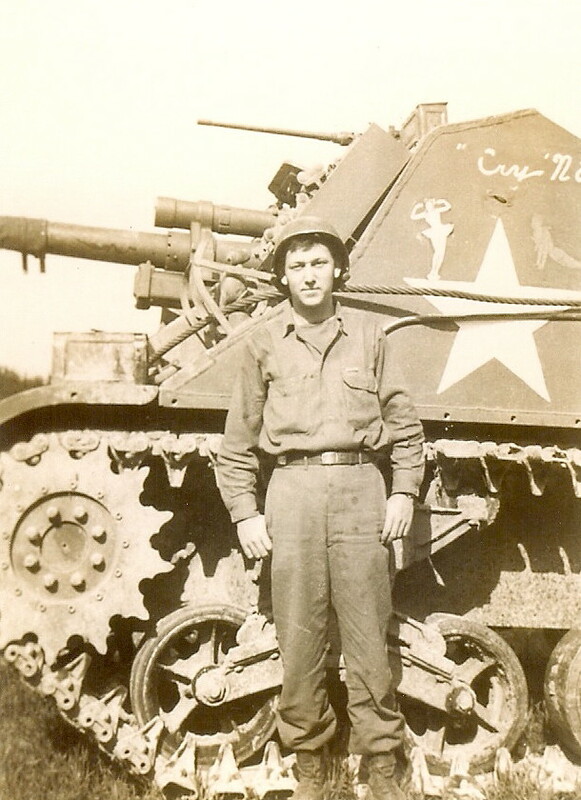 Paul reported to Ft. Bragg, N. C. and was discharged in November, 1945. Paul and Earlene’s marriage lasted until his death in 1999. They raised five children. Paul’s friend Luther lived nearby. When Luther visited his stories revealed much of what Paul’s children knew of their father’s service because he rarely talked about it. There were many of these love stories during World War II. Young men and women traveled all over the country and overseas. Workers left their homes for defense plants. The couples met in many ways and places – on the military bases, in USO canteens, through friends, while in transit, etc. Soldiers even developed serious relationships with girls they met overseas where they were stationed or fighting. War brought an urgency to their courtships. Many were short and some of the relationships did not survive after the war. What’s amazing is how many of these marriages not only survived but flourished. They are wonderful stories and I never tire hearing them.